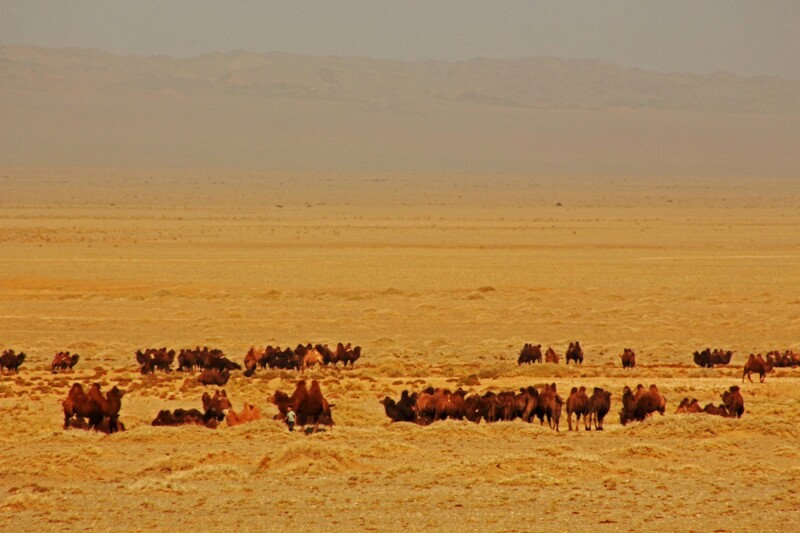 Camels go on their own to a wide range of pasture throughout the summer. 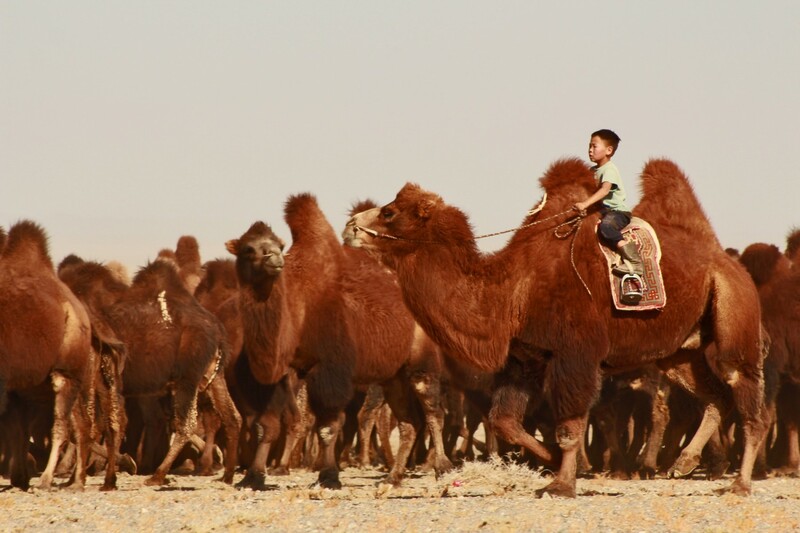 When their hair starts to grow in the autumn, camel herders get together and gather all the camels in one spot on a certain day to mark them with flour paste. 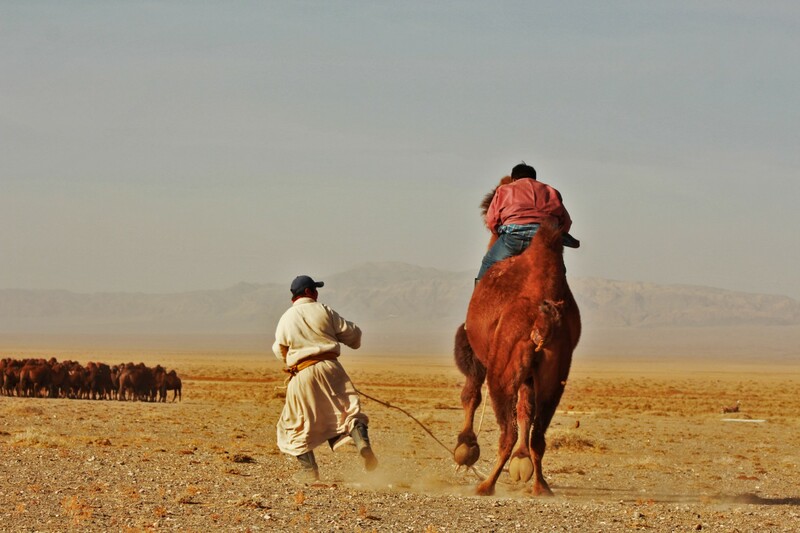 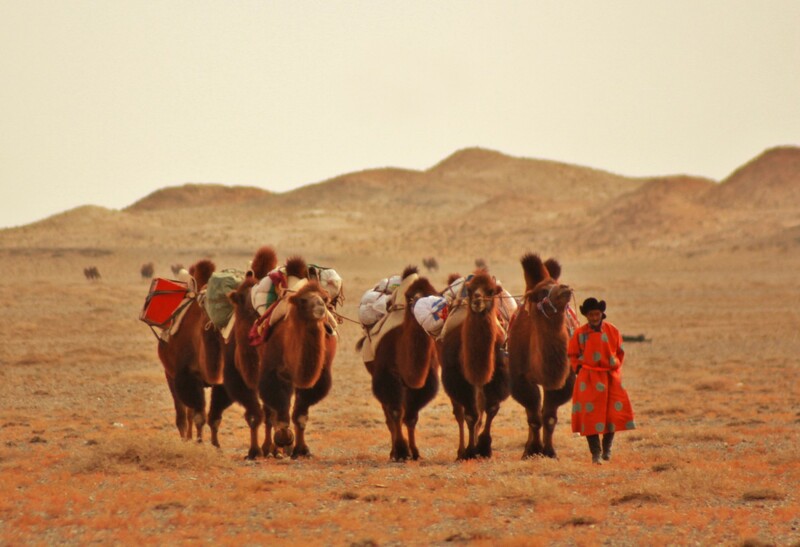 By getting together they save labor of collecting all the camels that are roaming free in a very big pasture and it is more efficient when they work together because this marking event takes lot of man power. 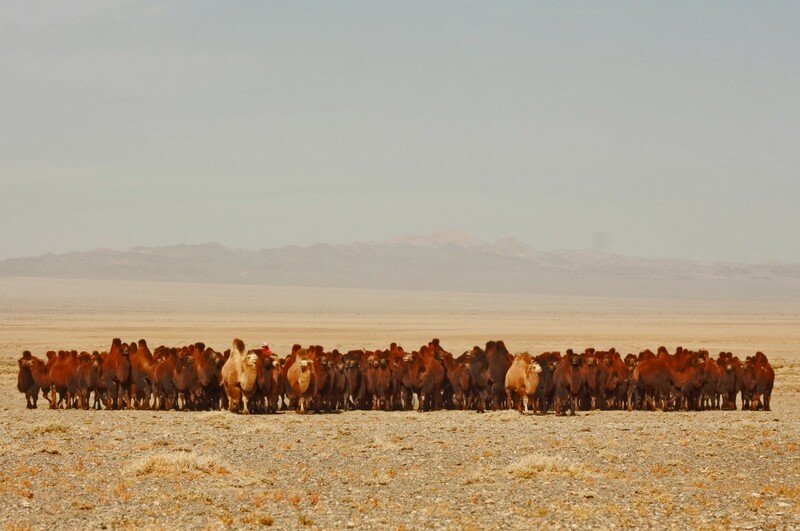 On a designated day you can see hundreds and hundreds of camels gathered together in one location. 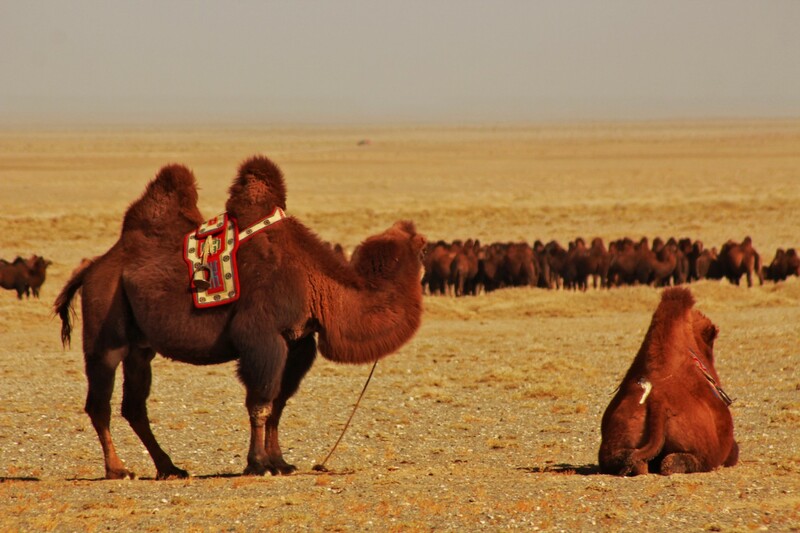 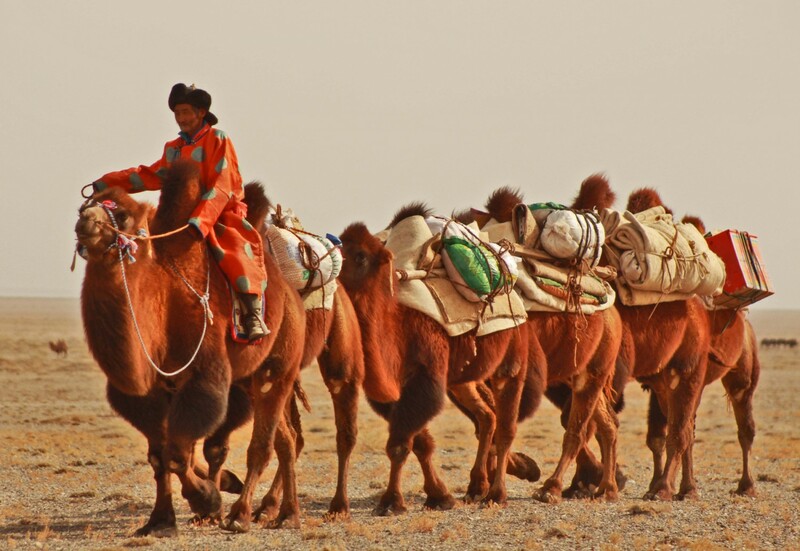 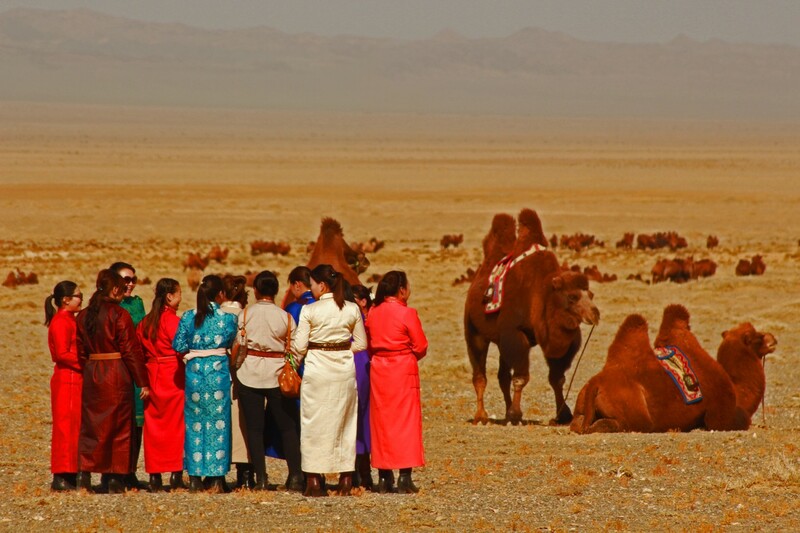 Our company initiated the idea and used this event to promote preservation of the Bactrian Camels that have been decreasing dramatically in the past. 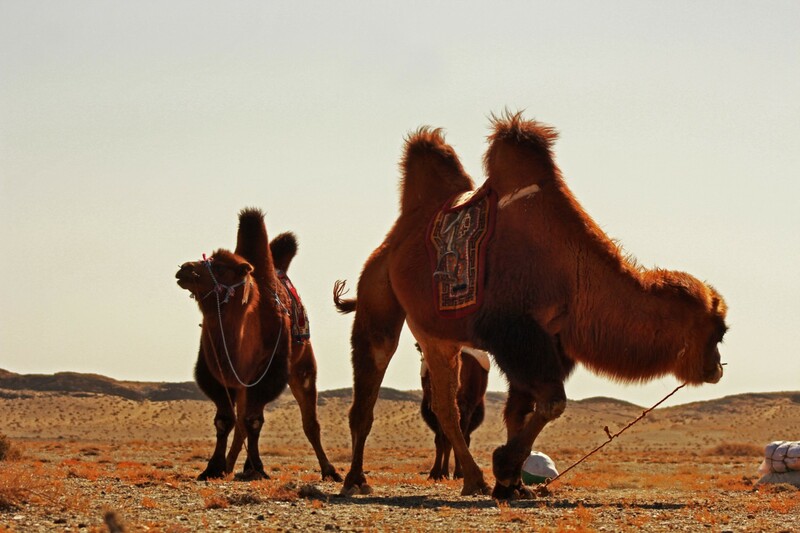 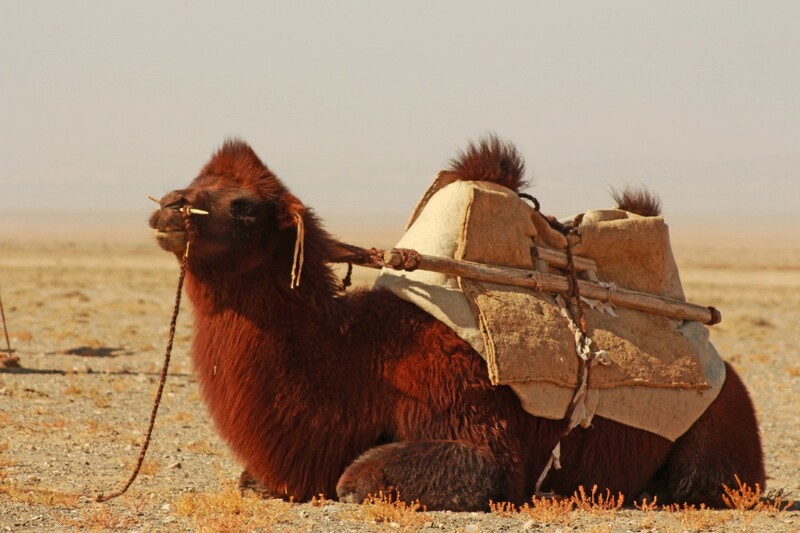 So we provide health service to all the gathered camels and in return camel herders show us their rich culture evolved around camels, such as catching, training, racing and making camel products with dairy and wool. 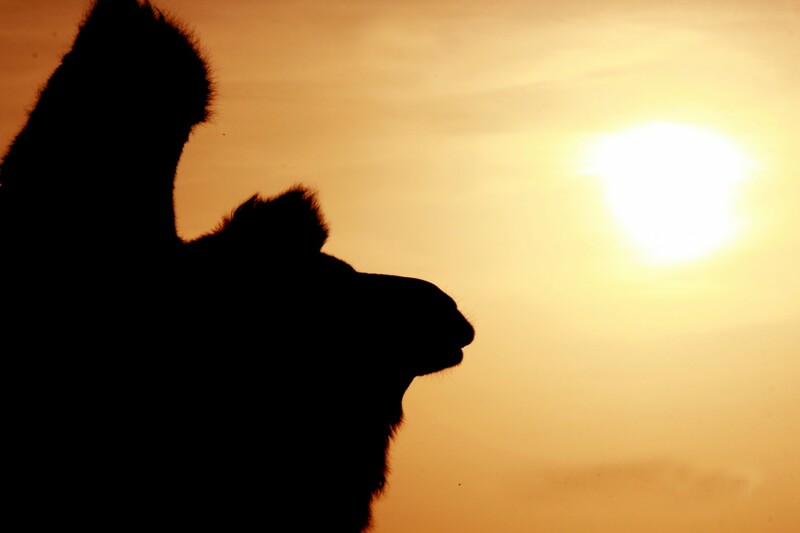 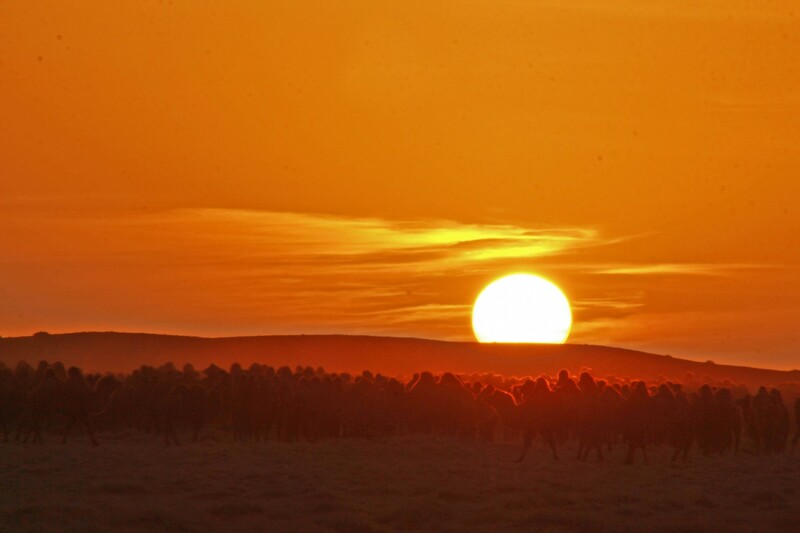 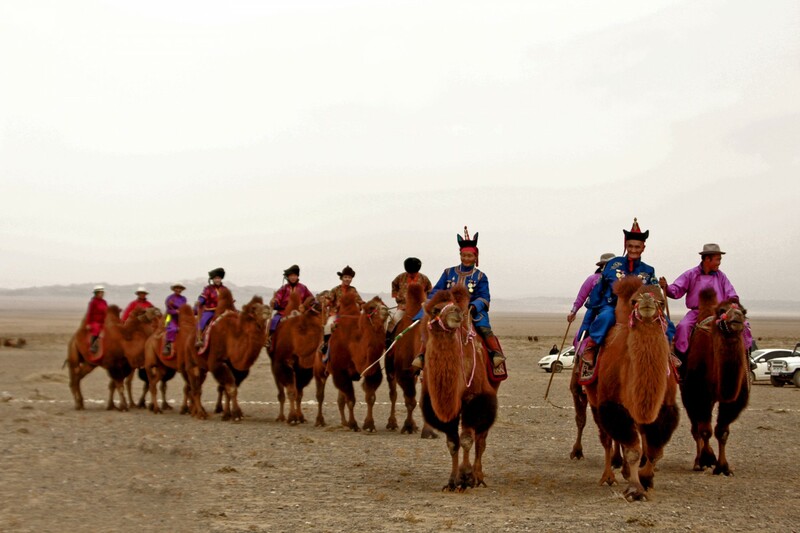 It is 2 days of outdoor very colorful event with incredible presence of camels. 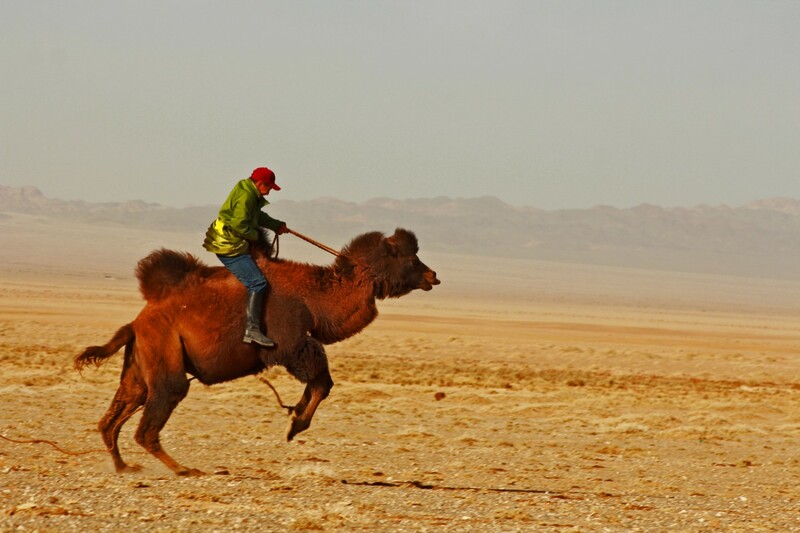 We combine this with a trip across immense yet surreally beautiful Gobi Desert. 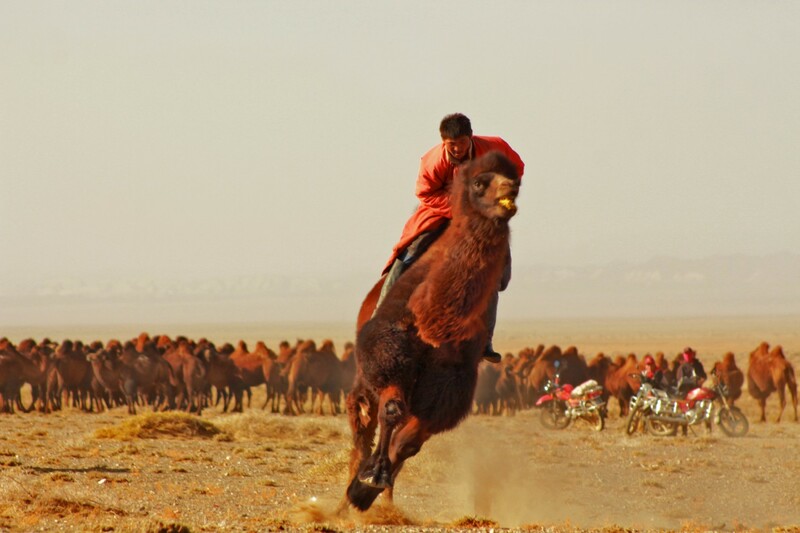 2 days of outdoor event of marking camels.